Do you have secondary characters in your novel or story? Have you given them enough attention? Or are you using them as if they were props? 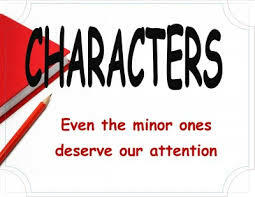 As writers, we spend time in character development for our protagonist and antagonist, and tend to throw in a secondary character for dialogue or for a cause of some kind, etc. Without distinguishing characteristics, these minor beings are flat, boring, and unnoticeable. What can a writer do to enhance a minor figure’s brief appearance? For example a police officer might be in a couple of scenes, but has little importance. Find something distinctive about him. Does he smell like cigarette smoke? Does he pull on his ear frequently? Is his badge on crooked? What about a delivery boy? In one of my short stories, he’s there for a minute, but I have him joking with my protagonist about the size of the package being taller than her. She enjoys his humor. In a different short story of mine that won a second place award in a competition, called “A Cup of Change,” the waiter talks too much about his fiance, yet he’s infatuated with the protagonist who openly flirts with him. He appears twice in the story for brief moments, but he’s memorable. When I wrote that story several years ago, I had learned that secondary characters can reflect the theme or premise or can have a similar goal or problem in a subplot. “A Cup of Change” is about a woman who is having an affair with her friend’s husband and doesn’t realize her friend knows about it. The woman tries to encourage her friend to get a divorce since the married couple are not getting along. Meanwhile the waiter talks on and on about his upcoming wedding. The wife flirts with him and gives him advice on how to treat his bride while the mistress interprets the interaction as a good sign for an impending divorce. The young waiter’s actions show he is excited about his wedding plans, yet nervous around this mature, seductive woman. He’s a minor character but fully developed and he reflects the theme of marriage and betrayal. Do you have a favorite minor character? Another important addition to my Writing Tips folder, especially since one of the major criticisms in one of my recent stories was that I had introduced a couple of characters that were merely cardboard cutouts and prop holders. When I sprinkled those secondary characters with little bits of personality, the story grew wings. Thanks, dahlink. You’re welcome, Lady Winfred. We all keep learning, forgetting, and learning again. I can’t wait until it’s automatic.